Logistics, transport, and the supply chain – important words, important topics. 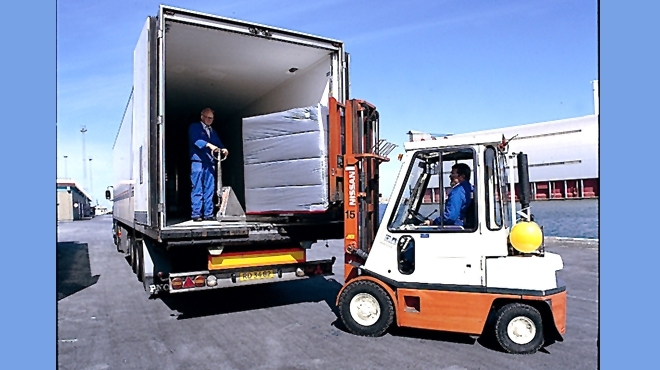 We read about transport and logistics all the time – but very little is ever mentioned about the part the COLD CHAIN plays in transport and logistics. Yet the cold chain is crucial to the success of any fully integrated supply chain process. Consequently, we decided to look up a few of these words to see how they link up. So the link is there – move and supply at a low temperature. Transport of perishables is done very efficiently in refrigerated vehicles – but if the chain is a link, why is there a break in the cold chain link? This chain is broken because the low temperature is not maintained constantly throughout the supply chain and transport process. The weak ‘link’ in the chain seems to be at the loading and off-loading of refrigerated vehicles. Products are exposed to ambient temperatures during this process and the cold chain ‘link’ is broken – so product temperatures are not maintained. This in turn can affect the shelf life of a perishable product. So what can be done about this? The majority of people who work in the cold chain are aware, or are becoming aware of the use of thermal products to insulate perishables against warm ambient temperatures or even extremely cold temperatures. That may sound contradictory; however thermal products can effectively protect from temperatures that are too warm or temperatures that are too cold so they are also very necessary when transporting multi-temp deliveries. The use of thermal products is a science in itself because there are different designs, different qualities and different insulators – it is not one size fits all. There are a number of aspects to be considered when deciding on what will work best for you – product type; ideal product temperature; temperature of vehicle; length of time of transport; ambient temperature and so on. So in purchasing these thermal products, the need is to weigh up all these inputs before purchasing to be sure you get the right thermal product for the job. How can we be more efficient in managing the cold chain? Simple answer – use the right thermally insulated products correctly and efficiently. Consult the specialists who manufacture specifically for the perishables industries. We refer to the Lambda Values of thermal insulation. The Lambda Value of insulation material is calculated to ensure the control of conduction, convection and radiation levels. The lower the Lambda value, the better the insulation. Fuel costs have soared and the running of refrigerated transport has become more expensive, so to optimise what you are trying to achieve, why not use thermal products to maintain the temperature more effectively and save on fuel costs?